Sir Lawrence Alma-Tadema was a 19th century painter in the Academic style. He was born in the Netherlands and moved to England, where he was eventually knighted. He painted luxuriously beautiful scenes of romanticized classical civilizations and medieval France. Often disparaged as a painter of “mere eye-candy”, and completely disrespected by the modern art establishment, he is finally regaining some of the attention he once commanded. If, like me, you remove the “mere” from that phrase, you can appreciate his work as eye candy indeed. His excellent draughtsmanship, attention to detail, lush color and masterful handling of the textures of clothing, skin, tapestries, stone and above all, marble, make his work a tasty visual treat. The link here is to the Alma-Tadema galleries on the amazing Art Renewal Center site, which I wrote about back in August. The ARC also includes an extensive biography. 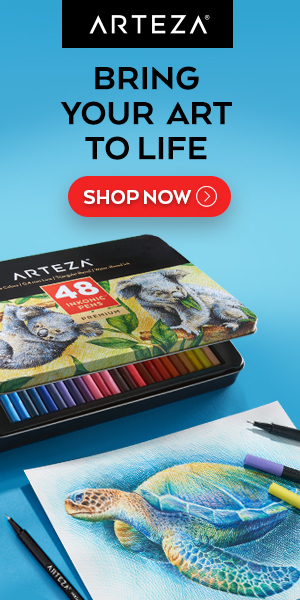 The best thing, though, is that they provide wonderful high-resolution images of his paintings, so you can get a nice big handful of that yummy eye-candy. There are also some excellent books of his work. I own a Sir Lawrence Alma-Tadema etching which I bought in a thrift store in 1989 for $120, framed. It probably cost $250 dollars in 1910. I have always been fascinated by Sir A-T and consider my thrift shop purchase one of the best purchases of my life. The etching is 16″x20″ or so, with a huge original frame, and shows St Jerome attempting to convert a female follower of Bacus. Alma-Tadema was so popular in his lifetime that his etchings became cliches of home decoration before World War 1. Faulkner notes this in his book “The Hamlet,” if memory serves. It has always amused me that Ruskin, the great 19th century art critic, called A-T, “the worst painter of the 19th century,” and that other critics came to regard him as a hack. Well, he is a hack, I agree with that, but he can PAINT. His canvases are lucious, even though a you could write software to generate his compositions. From being knighted to being forgotten within 20 years is quite a story and it warms my heart that more people are finding out about this talented, if predictable, artist. I’d like to know if that thrift store is continuing to offer deals like that! Ever since western art moved out from under the strict dominance of the church, “eye candy” has been part of the tradition. Boucher and Fragonard spring to mind. Even Rubens can be tagged with that label at times. But when the modernists gained control of the aesthetics agenda, almost all 19th Century Academic art got placed in that box. Nice to see it being taken out and dusted off. I was introduced to Sir LawrenceÂ´painting when I was about five years old, through the pages of “Highroads in Literature” which were illustrated with Preraphaelite art. For me, in those early days of my life, that was the only possible art. After more than half a century I have widened my scope on the subject, of course. But still, no matter what, this kind of Art, deserves the capital A. “A,number one”, should we say? I recently learned that the British pronouce Larry’s name, “TAD-a-mah. I was taught in my college art history class to pronouce it “ta-DAME-ah” – which I like much better. Being a Dutch name, both are probably wrong. I learned it the same as you at first but was corrected by someone, and have used the latter pronunciation since. You’re probably right though, given the English penchant for deliberately mis-pronouncing words adapted from continental languages, it’s probably very different in his original language. BWT, your comment reminded me to pull out and finish a post on another artist we’ve talked about before, in a similar vein, Bourguereau. looking for a [painting/print by Tadema or copyist which my grandfather had on his bedroom wall. It showed three young girls on the usual marble balcony and some cherry? blossom behind them.I loved it and have looked for a copy for years as it was disposed of at his death. I am now 65 and would like to find it if you can help in any way. Have looked on many sites,some Godward and Leighton. I have seen today, 1/11/2010 your comment. I was looking for the same painting and I thing I found it that is called either A coing of Vantage or At Aphrodite’s Cradle. There are many sites on Internet where to buy a copy of it. Good luck. It is nice to dust off some eye-candy among the barrage of eye-sore of contemporary art.